Philly2Philly's Joe Vallee and PhillyHealthWatch's Tiffany Bucciarelli talk about some excited things coming up this week! 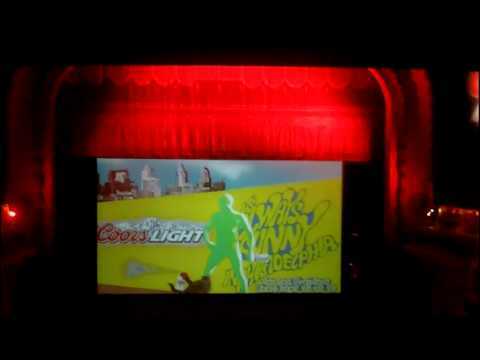 Tony D attends the 'It's Always Sunny in Philadelphia' at the Trocadero in Philadelphia. Check out Tony D's Review on Philly2Philly as well as his YouTube page for The Walk Show. Sketch Comedy Featuring Ben Begley and Christian Monzon. Director of Photography: Mark Ryan. More about Ben Begley: On http://www.twitter.com/wyndottestreet Podcast (rss: feed://blip.tv/Wyndotte-Street/rss ) Thanks for watching! PhillyHealthWatch Host, Tiffany Bucciarelli and Philly2Philly's Joe Vallee talk about great events coming up in leiu of Back to School! Josh unleashes all of his tricks, even under his hat, as he attempts to make a summer staple, Guacamole. Sketch Comedy Featuring Brynna Campbell and Ned Hosford. Info: WYNDOTTE STREET PRODUCTIONS, creator of the NAKED MAN COMEDY SERIES and CLOCKING OUT, is proud to present first tier online video content through partnerships with YouTube, iTunes, and Blockbusterapos;s, Cinema Now. Thanks for watching!